I could have photographed this palette all day long, because just look at this thing of makeup perfection! I love the size and shape of the Too Faced palettes, as they're not too chunky and you get a lot of shades inside. The Chocolate Gold Palette features the chocolate block style exterior, but this one has been dipped in metallic gold - I think it is definitely one of the best from the range. The shade set up is an interesting one; the shades do work well as a whole but there are a couple of wild cards like the hot pink shade New Money and the icy blue Drippin' Diamonds. One of the things that I love is the four matte shades which are essentials; Rollin' in Dough (matte cream), Cocoa Truffle (matte warm brown), Decadent (matte black) and So Boujee (matte light brown). 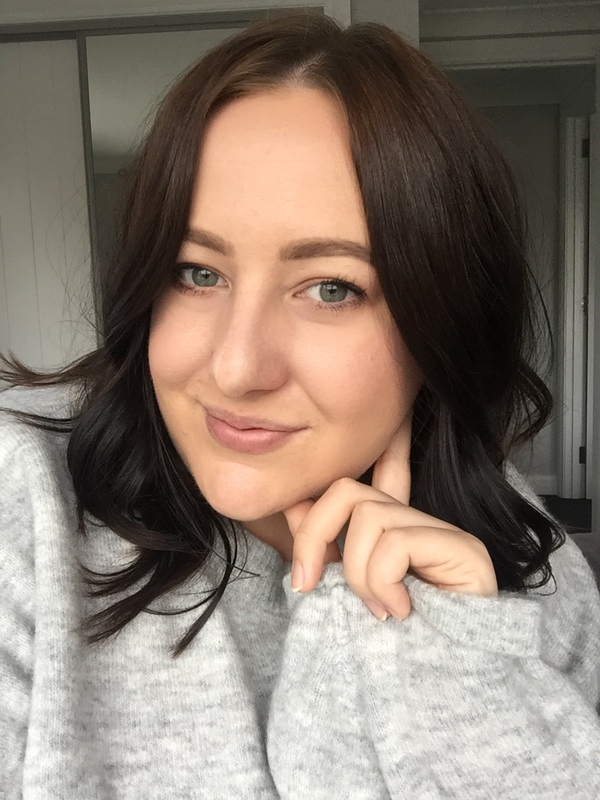 These shades make this a very versatile and one-stop shop for many eyeshadow looks. 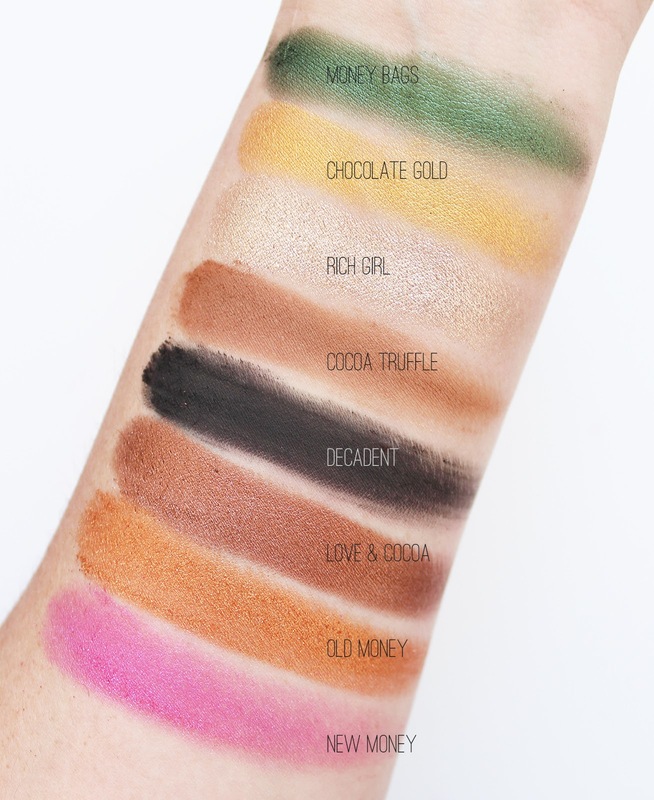 As you can see from the swatches these are some seriously well-pigmented eyeshadows, every single one performs so well. 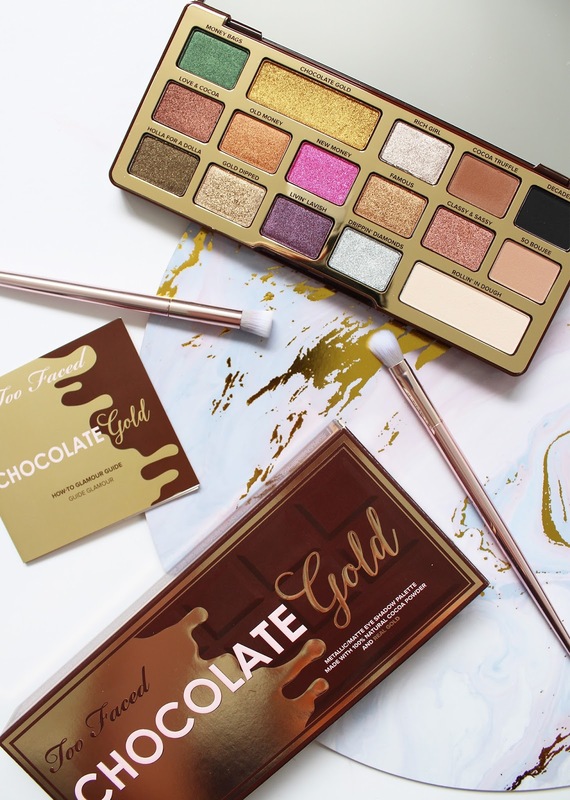 As it is the Chocolate Gold palette, there are a couple of shades that contain real gold (such as the aptly named Chocolate Gold). 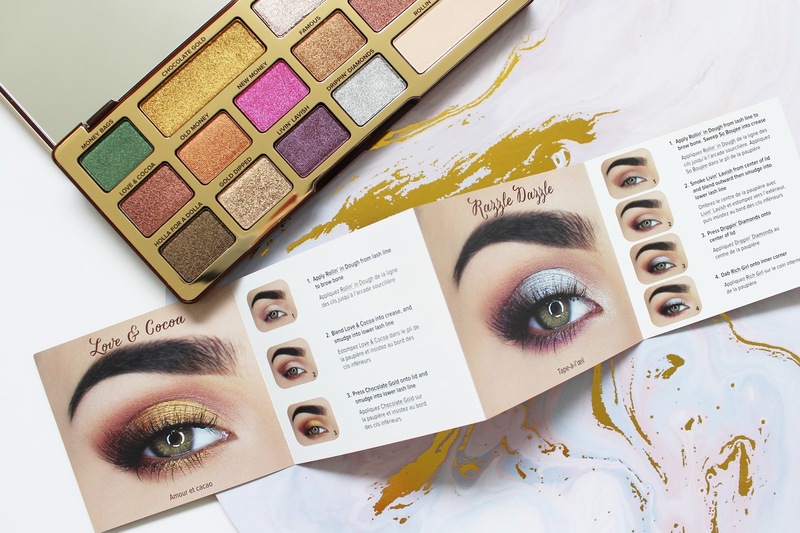 The metallic finishes are some of the best in this palette and they create such a beautiful eyeshadow look. The green shades Money Bags and Holla for a Dolla are some of my favourites surprisingly and pair well with the golden tones. If you didn't get it already, then it's pretty obvious that I highly rate and recommend this palette! I reach for this loads and will continue to do so. 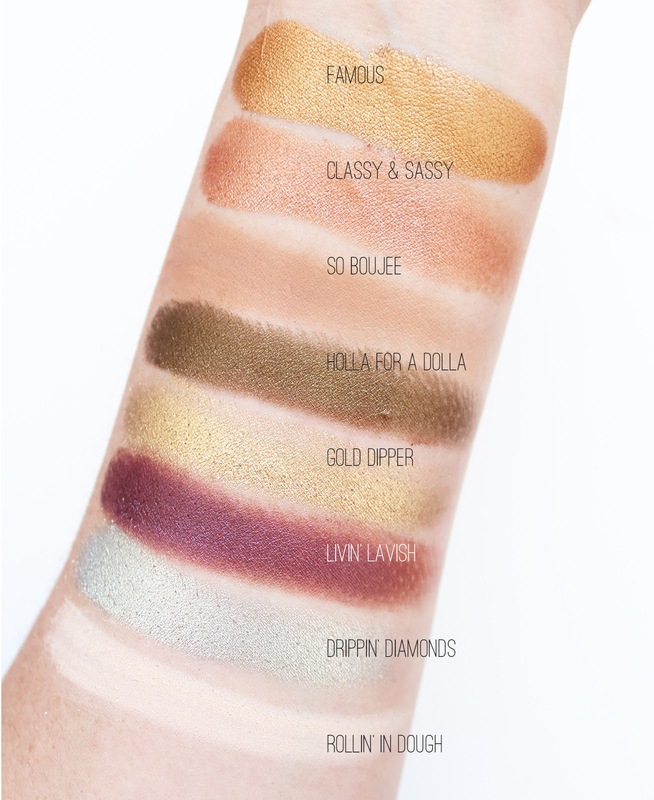 I got mine from Mecca Maxima here in NZ for NZD $78 - for 16 shades that perform this well and for that gorgeous packaging; it's a steal! 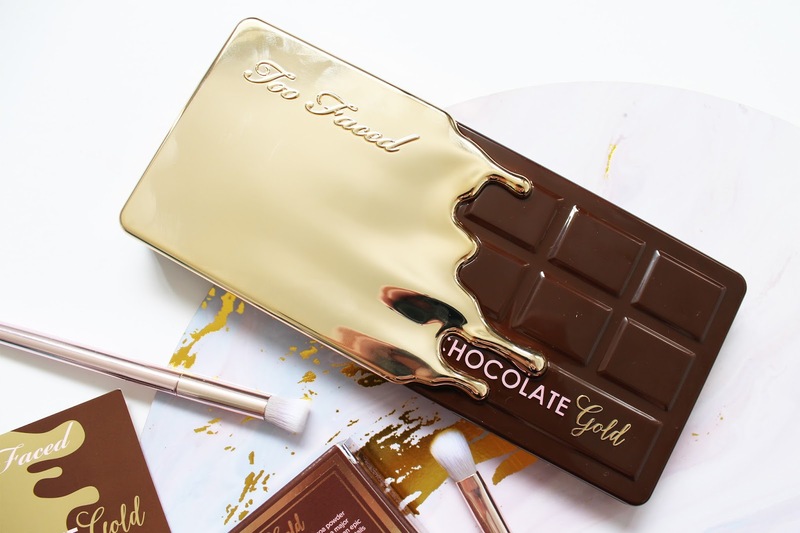 Have you tried this palette or others from Too Faced?